Senior Iranian military official says Iran produced a domestically-made bomb with a high destructive power. A senior official in Iran’s Revolutionary Guards claimed over the weekend that Iran is in possession of what he described as the “father of all bombs”. 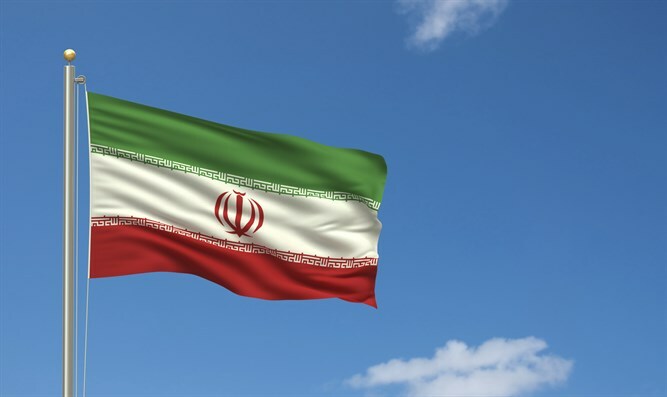 According to the official, Brigadier General Amir Ali Hajizadeh, Iran has produced a domestically-made 10-ton bomb with a high destructive power. "Following a proposal by the Aerospace Force of the Islamic Revolution Guards Corps (IRGC), Iran’s Defense Industries Organization manufactured a 10-ton bomb; these bombs are at our disposal and can be launched from Ilyushin aircraft and they are highly destructive,” Hajizadeh said, according to a report in the semiofficial Fars news agency. The commander pointed to the ordnance as Iran’s “father of all bombs” as compared with the GBU-43/B Massive Ordnance Air Blast Bomb (MOAB), also known as the "mother of all bombs," which the U.S. Air Force dropped on Islamic State (ISIS) targets in Afghanistan in April. Hajizadeh also claimed that in recent years, the IRGC has penetrated into U.S. military command centers and has evidence of their support for ISIS terrorists. "We have documents showing the behavior of the Americans in Iraq and Syria; we know what the Americans did there; what they neglected and how they supported Daesh,” Hajizadeh said, using the Arabic acronym for ISIS. He claimed that if the IRGC is allowed to release those documents, it would bring about more "scandals" for the U.S. Earlier this year, the Islamic Republic claimed to have unveiled a domestically manufactured tank which “has the capability to fire missiles and precisely guide them."